Today, we have Louisa Dent Pearce, writer of the Spellcaster gamebook trilogy. The first one, The Wizard books in 2006 as a physical book. It will now be released as a app by Tin Man Games in September 2013 followed by a second physical priniting, so keep your eyes out for that. How did you get into writing gamebooks? I was a kid in the eighties and at that time, Choose-Your-Own-Adventure and Fighting Fantasy gamebooks were all the rage. 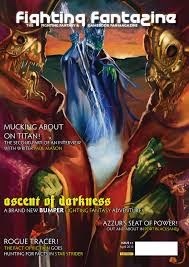 I loved the Fighting Fantasy series but it was Steve Jackson’s “Sorcery!” series which really inspired me to write my own. That was a four-part series in which you could cast spells and collect lots of clues. I didn’t want to miss even a single paragraph in that book, so I used to draw maps as I read the story so I could go back and choose a different path. The maps helped me understand the game logic and after that I figured it wouldn’t be so difficult to create my own. I was about twelve years old when I bought a fancy, leather-bound journal from the local newsagents and numbered every page. Then I started writing. I don’t remember what the story was about but it quickly became too difficult! These were the pre-computer days – I couldn’t cut and paste text or change things as I went, so I eventually gave up writing my little handwritten gamebook. Only years later, when I was grown up and computer-literate, did I set about writing gamebooks in earnest. How did you come up with the idea for the Spellcaster series? The original inspiration for the setting of Suidmor, the evil city of the faeries, came from spending a lot of time sitting in cafes in the laneways of Melbourne. These laneways are dingy, dark, cluttered with little shops and full of character. They are particularly atmospheric in the winter. I would sit there for hours watching the laneway life and imagining that faeries and goblins lived there. Then I began to wonder about the backstory to this city, and the ideas formed from there. What type of character do you play? What is their history? What skills and abilities do they have? The reader plays a 13-year-old boy or girl called Anivad (the gender is kept deliberately ambiguous) who has grown up in the mortal world. You begin the story by being captured by the villain, Olcrada, and taken to his lair in Suidemor. You have no idea why you have been captured, and when you escape his lair, you find yourself in a strange city full of faeries and other creatures that speak different languages and use magicraft. In the first book, The Forgotten Spell, part of the challenge is to figure out why Olcrada is pursuing you. You discover that you are fact an Elder Fey - the ruling race of faeries - and that you have magical powers as yet untrained. When you acquire a spellbook, you are able to use your magic to help you navigate the dangers of Suidemor. As the trilogy progresses, your magical powers grow, as does the range of spells you can use. The spells range from harmless (e.g. the Unlock Spell) to highly combative (the Choke Spell). 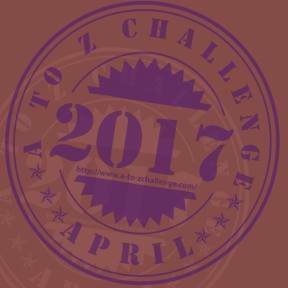 What challenges will you be up against in the book? The gamebooks are like detective novels and there are lots of puzzles to solve. You are a stranger in a strange land and you have to discover the nature of your quest, your magical powers, and the truth about your heritage. You have to master a whole new alphabet (the Elder Fey language), which often gets used for clues. You also have to solve visual puzzles, and because the Elder Fey magic works by using number and geometry, there are some maths challenges as well. The visual puzzles are particularly exciting for me because of the wonderful artwork which accompanies the book; Tony Hough (of original Fighting Fantasy fame) is the illustrator, and he is adept at doing very finely detailed drawings that you can get completely lost in! 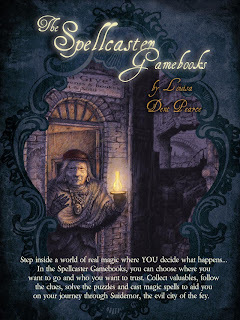 When will the Spellcaster gamebooks be out? Do you have any other projects that you can talk about? I am writing another series of gamebooks based on historical events, and I have a few other ideas in the pipeline, but essentially the Spellcaster trilogy is going to keep me busy for the next 18 months. One thing I have learnt in my years as an author is: one idea at a time! Take a look at Louisa's site here to pre-purchase your copy. These sound freaking amazing. Following the links now. Stuart, how did you discover these books? I've never even heard of them before. I had no idea something like this was out there!